Coffee tables occupy a prominent place in any living room, and it is also an area where you and your guests gather over to engage in conversation and bonding. 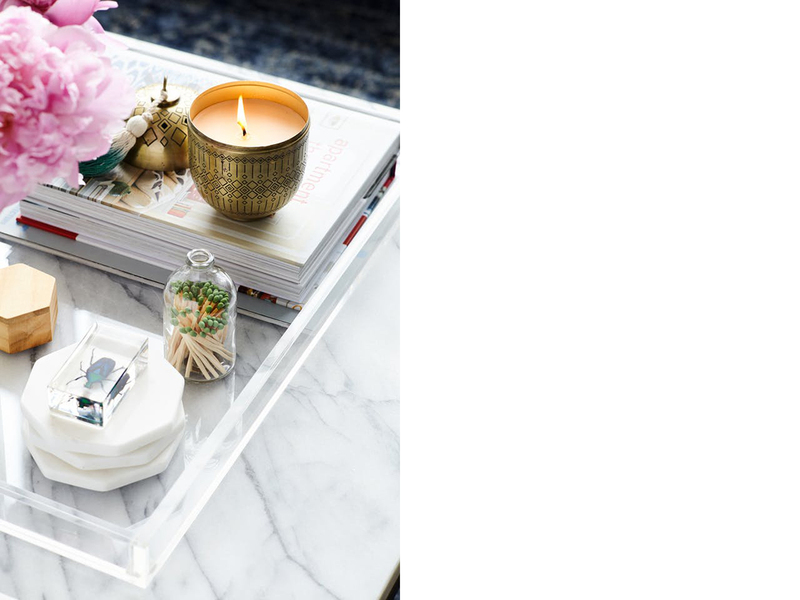 As such, we show you how to style your coffee tables in a way that not only looks nice, but combines both form and function as well. 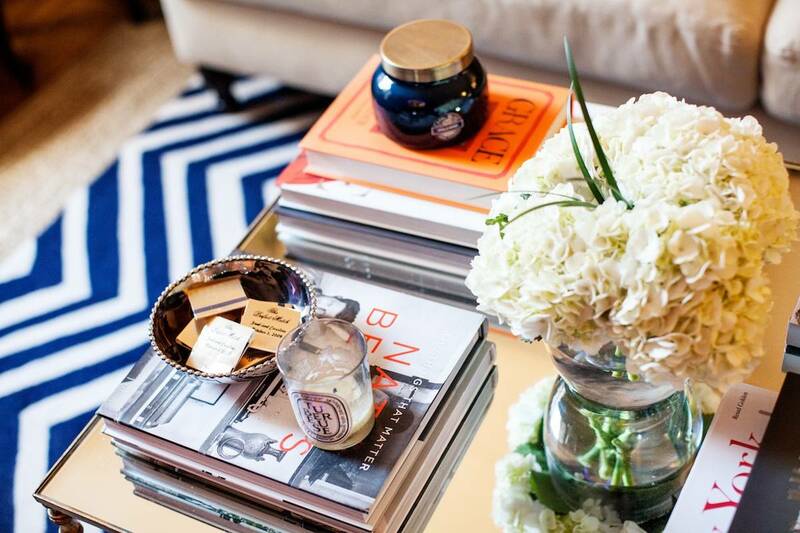 Like peanut butter and jelly, coffee tables and trays are two items that go well when paired with each other. And for good reason too. As coffee tables are often seen as a landing pad for books, remote controls, drink coasters and small snacks, using trays can help to corral these tabletop items and prevent clutter, creating a sense of organisation in the space. Then, whenever you’re entertaining and need space for food and drink items, you can simply remove the entire tray to create usable space on the table. As with any space in the home, adorning your coffee table with houseplants can instantly perk up and create a refreshing and invigorating atmosphere in your living room. Do note that as coffee tables are usually situated in the middle of a room away from windows, it might be best to pick plants that thrive in low light, like bamboos or ferns. Then, as and when necessary, change up the plants to keep the decor looking fresh. Books are often common items found on a coffee table, they are called coffee table books, after all. But as tabletops are horizontal, varying with the height of the books placed on your coffee table will add extra visual interest to the space. Whether using books in different shades of the same colour or across the colour spectrum, always stack the largest on the bottom and the smallest at the top for a clean and seamless look. Be careful how high the stack becomes though, for you wouldn’t want to block yourself or your guests from looking at the television, or each other. While mostly used to set the ambience when you’re having a quiet night at home or when you’re entertaining friends, candles double up as decorative pieces for your coffee table. Make use of a glass candle jar or unique glass cylinders to imbue visual interest into the space. If you’re not a fan of having an open flame on the table, you can also make use of candle warmers – which come in a variety of style – for the same effect. Similar to stacking books, mixing and matching candles of differing heights and patterns can create an interesting and dynamic look. While still a tad unconventional, coffee tables are a great way to show off your personal tastes. 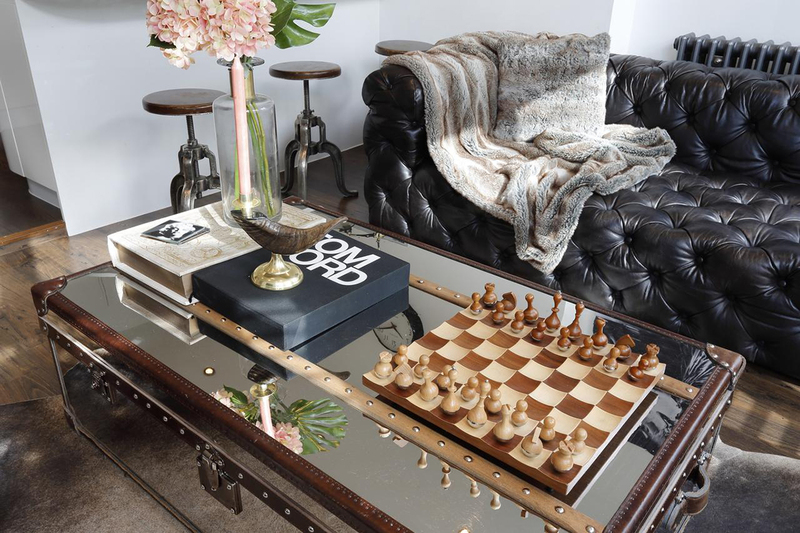 Whether in the form of a beautiful vintage chess board or your favourite board game, these items can be great conversation starter pieces when displayed on your coffee table, while upping the fun factor in your living room as well. Not big on board games? Family heirlooms, unique objects and other personal treasures can also help to elevate the look of your table while bringing in a touch of your own personality.